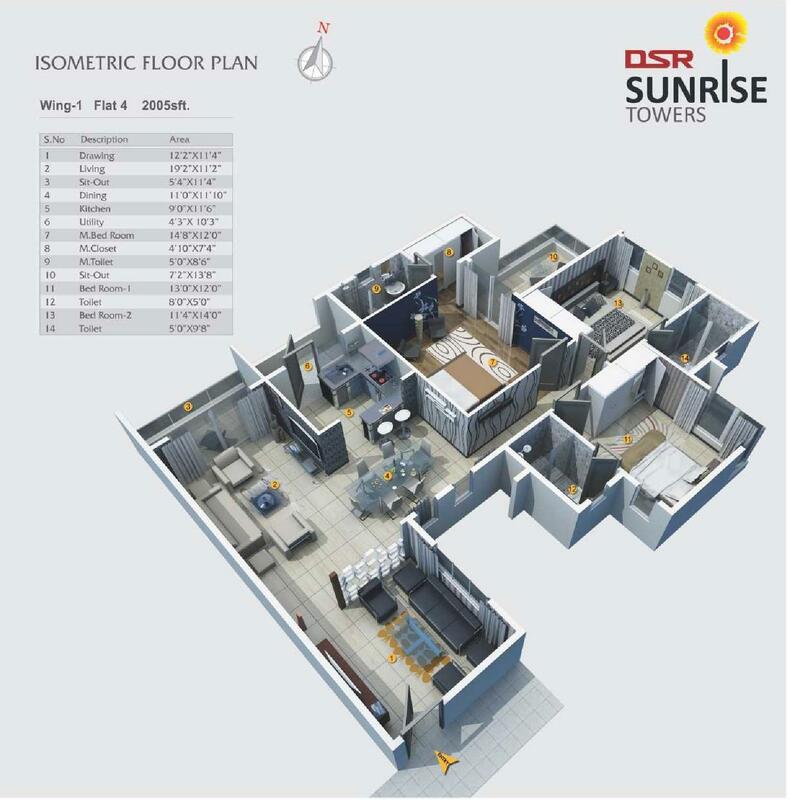 DSR Sunrise Towers is the upcoming project by the DSR Group. 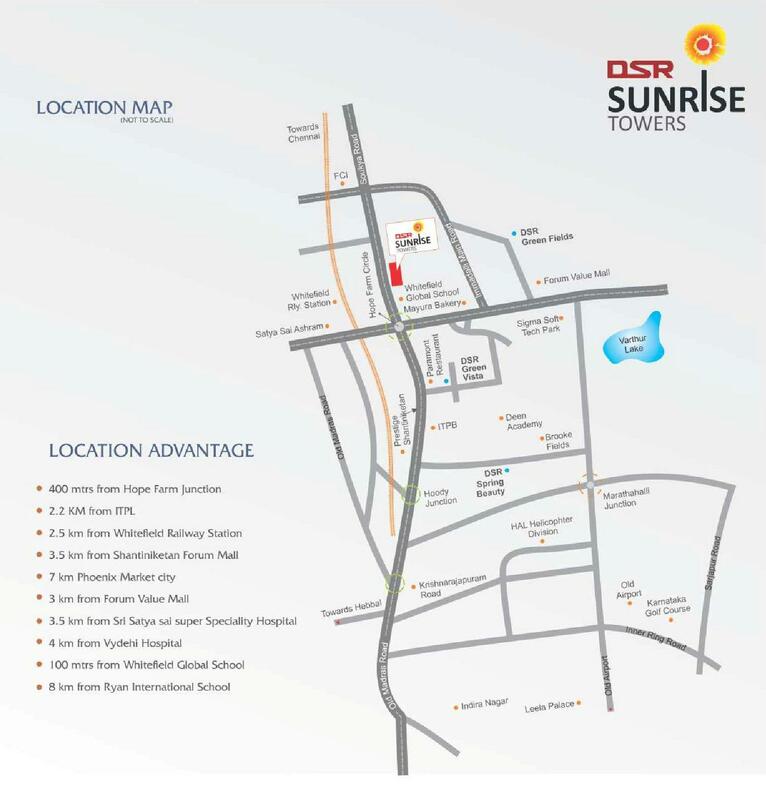 Located in Hope Farm Circle, Chanasandra Main Road, Whitefield Bangalore very close to WhiteField International School. This upcoming residential project offers 3 BHK apartments coming up in 2.9 acres land with lavish infrastructure and excellent amenities. 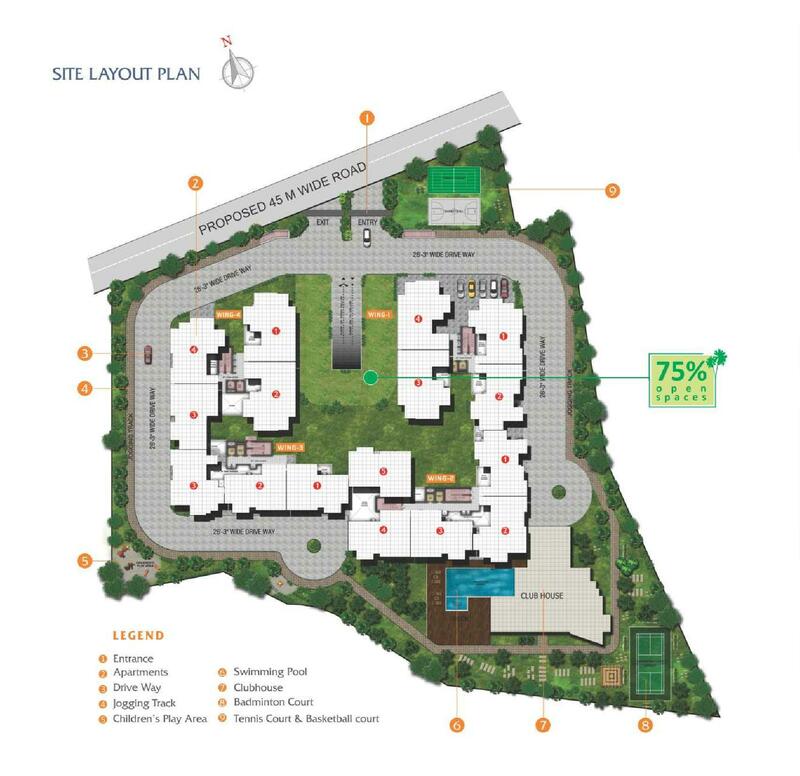 Multi purpose Hall connected With Outdoor Party Lawn, Tennis Court, Swimming Pool, Basketball Court, Gym, Indoor Games, Children’s Play Area, Coffee Lounge, Jogging Track, Central Landscaping, Badminton Court, Maintenance Office, Water softener plant. DSR Group was established more than 2 decades ago in 1988 with the vision of transforming the real estate industry and today after the journey of so many years, its projects stand testimony to the shining excellence and brilliance in execution. Commanding an unparalleled expertise, the group has spread its operations across South India across many real estate verticals, catering to various categories of clients. DSR’s repertoire has a wide array of exclusive projects which have been crafted to international standards. With diversified businesses interests across many portfolios DSR today has achieved staggering successes, thanks to its partners, associates and employees. Its success is shared and cherished among its people who work towards the common goal of a promising and prosperous future. Customer satisfaction is the corner stone of our company’s philosophy. We constantly strive for perfection in our service by understanding the customer needs and providing innovative and customized real estate solutions. 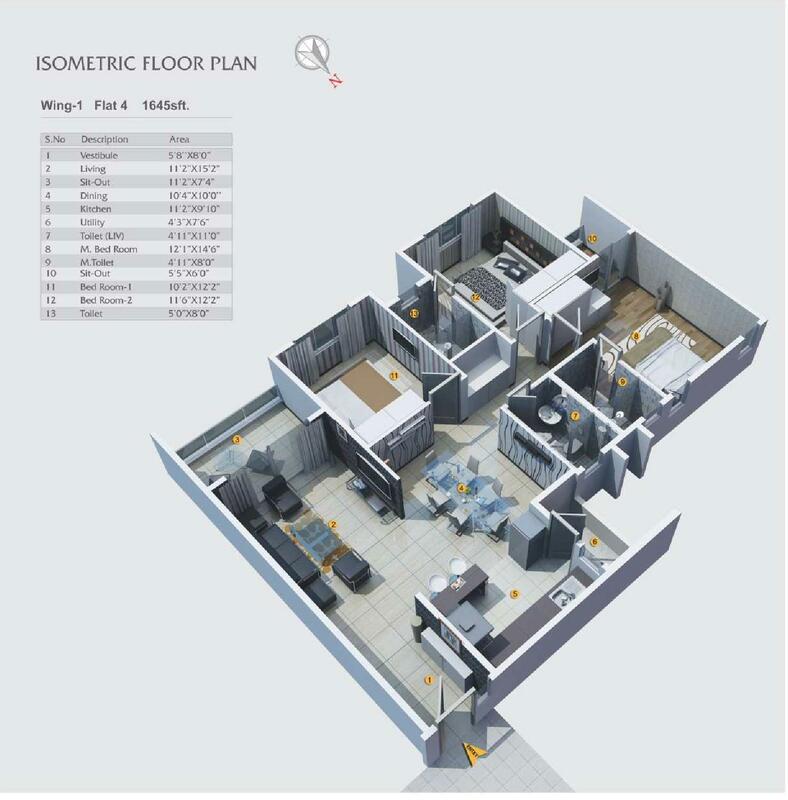 The locations of our projects are so carefully chosen that they provide immense potential to investment.